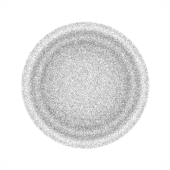 In PopcornFX, particle behavior is controlled by short programs called "scripts". These include the "Spawn scripts", "Evolve scripts" and "Layer Scripts". The popcorn-script syntax borrows most of its concepts from a mix between C++ and high-level shader languages such as GLSL or HLSL. Every name/symbol in popcorn-scripts is case-sensitive, and each statement must end with a semicolon. For the language syntax reference, see the Scripting language reference page. In the following tables you will find an extensive list of things you can use inside a particle-script. Sometimes a link will be provided to a page that contains more details on a specific item. The Spawn column tells which of these are available inside a particle Spawn-script. The Evolve column tells which of these are available inside a particle Evolve-script. R means you can read the variable. RW means you can read AND write the variable. Optional parameters are written inside brackets. Life-ratio of the particle, in the [0, 1] range. Does not exist inside Spawn-scripts. returns the value of the 'FirstSpawnDelay' property in the parent layer or evolver spawner. Spawns at the current Position particle field, and Velocity oriented if it exists. Never broadcasts the event to the game engine. Like .trigger(cond), except it also forces broadcasting of the event to the game engine, as long as the event's 'Broadcast' property is enabled. Like .trigger(cond, pos, fwd, up) but .broadcast. Layer spawn-scripts not yet available. In the current PopcornFX SDK you can only use layer evolve scripts. Duration of the spawner, in seconds v1.13.0 Since v1.13.0, layer-scripts can now write to this property to dynamically change the duration of the layer. Base value each frame is 1.0, you can write to this to weight the spawn rate by a custom value. Setting it to 2.0 will make the spawner emit twice as many particles as its base value. returns the value of the 'FirstSpawnDelay' property in the parent layer. Position of the layer at the end of the current frame. Position of the layer at the beginning of the current frame. v1.10.0 Computes the derivative of the curve at x=cursor. Return type is a float vector whose dimension matches the curve dimension. Each xyzw element of the result will contain the derivative of each of the separate curve components. Computes the integral of the curve between x0=cursorStart and x1=cursorEnd. Return type is a float vector whose dimension matches the curve dimension. Each xyzw element of the result will contain the integral of each of the separate curve components. Samples the double-curve at x=cursor, and interpolates between the results from each curve using ratio which should be in the [0,1] range. Samples a random location identifier on the shape. The resulting parametric coordinate then be passed to the other sampling functions. Samples a location identifier on the shape corresponding to the uv coordinates. The resulting parametric coordinate then be passed to the other sampling functions. WARNING: Sampling from UV does not work with overridden attribute samplers. Samples a position on the shape. Accepts an optional parametric coordinate. If no pCoord is provided, will sample a random location. Samples a normal on the shape. Accepts an optional parametric coordinate. If no pCoord is provided, will sample a random location. Samples a tangent on the shape. Accepts an optional parametric coordinate. If no pCoord is provided, will sample a random location. Sampled tangent contains a sign-flip in its 'w' component to take into account tangent-basis mirroring. Samples a texture-coordinate on the shape. Accepts an optional parametric coordinate. If no pCoord is provided, will sample a random location. additional functions sampleTexcoord0 to sampleTexcoord9 are declared, to sample different explicit UV streams. Samples a color on the shape. Accepts an optional parametric coordinate. If no pCoord is provided, will sample a random location. additional functions sampleColor0 to sampleColor9 are declared, to sample different explicit Color streams. Samples the instantaneous surface-velocity of the shape. Accepts an optional parametric coordinate. If no pCoord is provided, will sample a random location. Returns the surface of the shape. Returns the radius of the shape if it's a sphere, complexEllipsoid, capsule, cone, or cylinder. If not, returns zero. Returns the innerRadius of the shape if it's a sphere, complexEllipsoid, capsule, or cylinder. If not, returns zero. Returns the height of the shape if it's a capsule, cone, or cylinder. If not, returns zero. Returns the vertex-count of the shape if it's a mesh. If not, returns zero. Returns the triangle-count of the shape if it's a mesh. If not, returns zero. v1.10.0 Returns the tetrahedron-count of the shape if it's a mesh, and contains tetrahedral information (required for volume sampling). If not, returns zero. Returns the mesh-scale of the shape if it's a mesh. If not, returns zero. Returns the dimensions of the shape if it's a box. If not, returns zero. Returns the position of the shape. Returns the up axis of the shape. Returns the side axis of the shape. Returns the forward axis of the shape. Samples the distance-field of the shape at the specified location. returns true if the shape contains the specified position, false otherwise. raytraces the shape with the specified ray. returns the hit normal and intersection distance packed in a float4. if the intersection distance is infinite, nothing was hit. raytraces the shape with the specified ray. returns the intersection parametric coordinates in result.xyz, and the intersection distance in asfloat(result.w). if the intersection distance is infinite, nothing was hit. Computes the projection of the specified position on the shape. returns the vector from position to projected position and projection distance packed in a float4. Computes the projection of the specified position on the shape. returns the parametric coordinate of the projected location. Samples a texel on the texture atlas at the specified sub-rect and UV coordinates. Builds a new UV from the input UV so that the final UV distribution matches the density of the texture. Builds a new UV from the input UV so that the final UV distribution matches the density of the texture atlas at the specified sub-rect. v1.9.0 Builds a random UV coordinate so that the UV distribution matches the density of the texture. v1.9.0 Builds a random UV coordinate so that the UV distribution matches the density of the texture atlas at the specified sub-rect. v1.9.0 Returns a float2 containing the texture texel dimensions (can be just an abstract aspect ratio if the sampler is an attribute sampler overriden by the game engine and is a procedural "infinite" texture rather than a physical texture). v1.13.0 Returns the number of sub-rectangles in the texture atlas. Returns zero if there's no atlas. Samples the curl of the turbulence noise-field at the specified location. Samples the potential of the turbulence noise-field at the specified location. Samples the spectrum at the specified cursor, which is in the [0,1] range, 0 meaning full-bass and 1 meaning full-treble. The convolution parameters is in the [0,1] range and allows to smooth the sampled spectrum. The convolutionFilter accepts the same values as the sampleFilter, and tells how to interpolate between the various spectrum 'mipmaps' used by the convolution level. Samples the text at the specified character position, and returns the ASCII code of the sampled character. Samples the text at the specified line and character position, and returns the ASCII code of the sampled character. v1.12.0 Returns the horizontal distance between charId and the beginning of the line in displayable units, where '1.0' is the average glyph size. Takes kerning into account if a kerning file has been provided in the text sampler and its 'UseKerning' property is enabled. Only works for characters whose charCode is in the [0-255] range. If you need to work with some unicode characters, you will need to reencode the text string to map them in free slots of the [0,255] range, and remap their entries in the kerning file. Please contact our support channels for more details. v1.12.0 Returns the vertical distance between lineId and the beginning of the text in displayable units, where '1.0' is the average glyph size. Defaults to 3.0 if no metrics file has been provided in the text sampler. Returns the number of characters at the specified line of the text. Returns the number of characters in the whole text. Returns the number of lines in the whole text. The "shape" namespace gives access to shape-related functions that do not need an actual shape to work. v1.10.0 Allows to manually build parametric coordinates on a mesh shape setup for vertex sampling. 'vertexId' is the index of the vertex to sample. it's in the [0,Shape.vertexCount()-1] range. If an invalid index is given (greater than Shape.vertexCount()-1), the sampling functions that get passed this parametric coordinate will clamp the vertexId to Shape.vertexCount()-1. Allows to manually build parametric coordinates on a mesh shape setup for surface sampling. 'triangleId' is the index of the triangle to sample. it's in the [0,Shape.triangleCount()-1] range. If an invalid index is given (greater than Shape.triangleCount()-1), the sampling functions that get passed this parametric coordinate will clamp the vertexId to Shape.triangleCount()-1. 'uv' is a float2 UV barycentric coordinate in the selected triangle. it's in the [0,1] range. float2(0.3333) is the triangle center. (uv.x + uv.y) should be lower than 1, otherwise the sample will fall outside the triangle. v1.10.0 Allows to manually build parametric coordinates on a mesh shape setup for volume sampling. 'tetraId' is the index of the vertex to sample. it's in the [0,Shape.tetraCount()-1] range. If an invalid index is given (greater than Shape.tetraCount()-1), the sampling functions that get passed this parametric coordinate will clamp the vertexId to Shape.tetraCount()-1. 'uvw' is a float3 UVW barycentric coordinate in the selected tetrahedron. it's in the [0,1] range. float3(0.25) is the tetra center. (uv.x + uv.y + uv.z) should be lower than 1, otherwise the sample will fall outside the tetrahedron. Allows to manually build parametric coordinates on a box shape setup for Surface sampling. 'faceId' can be one of the following values: [-3, -2, -1, 1, 2, 3]. -1 and 1 map the -X and +X faces, respectively. -2, 2 map the -Y, +Y faces, and -3, 3 map the -Z, +Z faces. 'uv' is a float2 UV coordinate on the selected face. it's in the [0,1] range. Allows to manually build parametric coordinates on a box shape setup for Volume sampling. 'normalizedPos' is a float3 coordinate in normalized box coordinates. it's in the [-1,1] range. Allows to manually build parametric coordinates on a sphere shape. Works for both Surface' and Volume sampling. 'polarAngles' is a float2 theta-phi coordinate. it's in the [0,1] range, and gets mapped internally to [0,2*pi]. 'radius' is a lerp factor between the sphere's InnerRadius and Radius properties. it's in the [0,1] range. Allows to manually build parametric coordinates on a cone shape. Works for both Surface' and Volume sampling. 'height' is the normalized cone height. it's in the [0,1] range. 'angle' is the angle around the cone axis. it's in the [0,1] range, and gets mapped internally to [0,2*pi]. 'radius' is the distance between the cone center and the cone edge. it's in the [0,1] range. Only for Volume sampling. Allows to manually build parametric coordinates on a capsule shape. Works for both Surface' and Volume sampling. 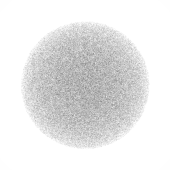 'height' is a normalized cursor along the capsule height, cap-spheres included. it's in the [0,1] range. 'angle' is the angle around the capsule axis. it's in the [0,1] range, and gets mapped internally to [0,2*pi]. 'radius' is a lerp factor between the capsule's InnerRadius and Radius properties. it's in the [0,1] range. Allows to manually build parametric coordinates on a cylinder shape. Works for both Surface' and Volume sampling. 'height' is the normalized cylinder height. it's in the [0,1] range. 'angle' is the angle around the cylinder axis. it's in the [0,1] range, and gets mapped internally to [0,2*pi]. 'radius' is a lerp factor between the cylinder's InnerRadius and Radius properties. it's in the [0,1] range. v1.13.3 The 'effect' namespace contains all effect-related functions and variables. v1.13.3 returns the position of the parent effect instance, as set by the game-engine, in worldspace. v1.13.3 returns the velocity of the parent effect instance, as set by the game-engine, in worldspace. v1.13.3 returns the up axis of the parent effect instance, as set by the game-engine, in worldspace. v1.13.3 returns the side axis of the parent effect instance, as set by the game-engine, in worldspace. v1.13.3 returns the forward axis of the parent effect instance, as set by the game-engine, in worldspace. The "scene" namespace gives access to scene-wide functions such as raycast queries, time, and axis-system. constant: up axis (based on the Axis-System). constant: side axis (based on the Axis-System). constant: forward axis (based on the Axis-System). v1.8.2 constant: true (0xFFFFFFFF) if the Axis-System is right handed, or false (0x0) if left handed. v1.8.2 constant: 1.0 if the Axis-System is right handed, -1.0 if left handed. issues a scene intersection query, returns the intersection normal in xyz, and intersection distance in w.
issues an extended scene intersection query, returns an int4 containing the packed intersection normal, intersection distance, and surface type. Use the 'unpack' functions below to extract each one of them. takes a packed intersection result returned by scene.intersectExt(), extracts and returns the float3 intersection normal it contains. takes a packed intersection result returned by scene.intersectExt(), extracts and returns the float intersection distance it contains. takes a packed intersection result returned by scene.intersectExt(), extracts and returns the int surface-type it contains. The "view" namespace gives access to camera-related functions such as projection or distance functions. v1.10.0 returns the number of active cameras/views. If no camera views are registered by the game engine, returns 0.
v1.10.0 returns the distance between 'position' and the camera whose ID is 'camIndex'. If 'camIndex' is not specified, returns the distance to the closest cam. If no camera views are registered by the game engine, returns infinity. ex: view.distance(Position) returns the distance to the closest cam, view.distance(Position, 2) returns the distance to the 3rd cam. v1.10.0 returns the index of the cam closest to 'position'. If 'n' is specified, returns the index of the 'nth' closest cam. '0' is the closest, '1' is the second closest, '2' is the third closest, etc.. If no camera views are registered by the game engine, returns -1.
v1.10.0 returns the position of the cam whose ID is 'camIndex'. If 'camIndex' is not specified, uses the first camera. If no camera views are registered by the game engine, returns float3(infinity). v1.10.0 returns the side axis of the cam whose ID is 'camIndex'. If 'camIndex' is not specified, uses the first camera. If no camera views are registered by the game engine, returns scene.axisSide(). v1.10.0 returns the up axis of the cam whose ID is 'camIndex'. If 'camIndex' is not specified, uses the first camera. If no camera views are registered by the game engine, returns scene.axisUp(). v1.10.0 returns the forward axis of the cam whose ID is 'camIndex'. If 'camIndex' is not specified, uses the first camera. If no camera views are registered by the game engine, returns scene.axisForward(). v1.13.0 returns the view vector of the cam whose ID is 'camIndex'. If 'camIndex' is not specified, uses the first camera. returns view.axisForward() for Right-handed Y-Up and Left-handed Z-Up coordinate systems, and -view.axisForward() for Right-handed Z-Up and Left-handed Y-Up coordinate systems. v1.10.0 projects the input worldspace coordinate into the clip-space of the cam whose ID is 'camIndex'. If 'camIndex' is not specified, uses the first camera. 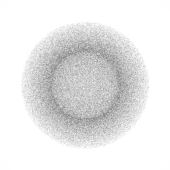 Can be useful to get the screenspace-position of a particle. If no camera views are registered by the game engine, returns float3(0,0,0). v1.10.0 unprojects to worldspace the input clipspace coordinate of the cam whose ID is 'camIndex'. If 'camIndex' is not specified, uses the first camera. Can be useful to have a particle stick to a screenspace position by unprojecting the position to worldspace. v1.10.0 returns the normalized axis of the ray that goes from the camera origin through the camera plane at coordinates specified in 'clipPos'. If 'camIndex' is not specified, uses the first camera. v1.11.1 returns the resolution of the view in pixels. If 'camIndex' is not specified, uses the first camera. If no camera views are registered by the game engine, returns int2(1,1). Note that this function returns integer values, care must be taken to explicitely cast to float when required, for instance when dividing the x/y values together. v1.11.1 returns the aspect-ratio of the view. If 'camIndex' is not specified, uses the first camera. If no camera views are registered by the game engine, returns 1.0.
v1.11.2 returns the horizontal fov of the view, in radians. If 'camIndex' is not specified, uses the first camera. If no camera views are registered by the game engine, returns pi/2 (90 degrees fov). v1.11.2 returns the vertical fov of the view, in radians. If 'camIndex' is not specified, uses the first camera. v1.11.2 returns the fov of the view, in radians. If 'camIndex' is not specified, uses the first camera. The "spatialLayers" namespace gives access to all spatial layers visible by the effect. Returns the number of particles inside the query volume. Returns the value of 'FieldName' of the closest particle inside the query volume. v1.9.0 Returns the value of 'FieldName' of the n-closest particle inside the query volume. 'cacheSize' is an optional performance hint. When not specified, its default value is 4. Returns the sum of 'FieldName' of all particles inside the query volume. If the original field is int, int2, int3, or int4, the returned value will actually be a float vector of the same dimension: float, float2, float3 or float4. Returns the sum of 'FieldName' of all particles inside the query volume, and uses the custom kernel (1D curve sampler) to weight each value based on its distance to the query center. Returns the average value of 'FieldName' of all particles inside the query volume. Returns the average value of 'FieldName' of all particles inside the query volume, and uses the custom kernel (1D curve sampler) to weight each value based on its distance to the query center. random function, stands for "vector-rand", returns a random float3 vector 'v' uniformly distributed on the unit sphere surface. Very useful to generate nicely distributed random normals, random 3D offsets, or other unit vectors to give a bit of randomization to particle velocities, etc..
vrand(inner, outer) allows you to generate a point in a spherical shell instead of a sphere surface. 'inner' is the radius of the inner shell, 'outer' is the radius of the outer shell. vrand(1,1) will give the same results as calling the classic vrand(). 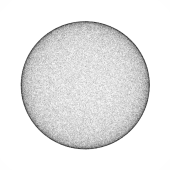 To generate a point inside the volume of a whole sphere, use vrand(0,1). It keeps correct uniform distribution of samples per unit volume. 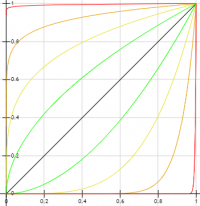 vrand(inner, outer, probabilityCurve) expects the name of a 1D curve sampler as third argument, which should have its 'IsProbabilityCurve' property checked. It will use that curve as a probability distribution between the 'inner' and 'outer' radius and distribute the random samples accordingly. 'c' should be the boolean result of a compare operation, or function returning a true / false result. ex: select(float3(0), float3(1,2,3), x <= y); will return float3(1,2,3) if x <= y, otherwise it will return float3(0). returns 'a' or 'b' depending on the value of 'c'. Like 'select', but reversed, syntactically closer to the syntax of an 'if/else' block. ex: iif(x <= y, float3(1,2,3), float3(0)); will return float3(1,2,3) if x <= y, otherwise it will return float3(0). 't' is an interpolation factor in the $ [0, 1] $ range. when 't' equals 0, 'a' is returned, when 't' equals 1, 'b' is returned. values in between return values between 'a' and 'b'. ex: lerp(float3(0), float3(1,2,3), 0.5); will return float3(0.5, 1, 1.5). ex: smoothlerp(float3(0), float3(1,2,3), 0.5); will return float3(0.5, 1, 1.5). v1.10.0 randomly returns 'a' or 'b'. The order of the parameters can be counter-intuitive, but you can think of it like lerp(a,b,k), a value of 'k' close to 0 will return values close to 'a', a value of 'k' close to 1 will return values close to 'b'. Same with randsel(a,b,k), low values of 'k' return 'a' more often, high values return 'b' more often. v1.12.0 randomly returns '-1.0' or '1.0'. returns 1.0f if 'x' is within the [lower, upper] range, returns 0.0f otherwise. all the function's arguments can be either scalars, or vectors. if some arguments are vectors, they must have the same dimension. The return value will be a vector as large as the largest input vector. within(0.5, -1.2, 3.0); will return 1.0f. within(float3(-2,0,2.5), -1.2, 3.0); will return float3(0.0, 1.0, 1.0). within(1.5, -1.0, float4(0,1,2,3)); will return float4(0.0, 0.0, 1.0, 1.0). remaps 'value' from the [oldMin, oldMax] range to the [newMin, newMax] range. remap(0.5, 1.0, 3.0); will return 2.0f. remap(0.5, 0, 0.5, 1.0, 3.0); will return 3.0f. all(float3(0) < float3(1,2,3)); will return true. all(float3(0) < float3(1,-2,3)); will return false. any(float3(0) > float3(1,2,3)); will return false. any(float3(0) > float3(1,-2,3)); will return true. returns the vector 'v' rotated around 'axis' by 'angle'. 'v' and 'axis' are float3 vectors, 'angle' is the angle in radians (can be negative). rotate(float3(1,0,0), float3(0,1,0), pi); will return float3(-1,0,0) (rotates float3(1,0,0) along the 'y' axis float3(0,1,0) by 180 degrees ('pi' radians), leading to the opposite vector float3(-1,0,0). rotate(float3(1,0,0), float3(0,1,0), pi/2); will return float3(0,0,1). deg2rad(a) converts the input angle 'a' from degrees to radians. rad2deg(a)converts the input angle 'a' from radians to degrees. linear2srgb(c) converts the input color 'c' from linear space to sRGB space. srgb2linear(v)converts the input color 'c' from sRGB space to linear space. The 'fast' versions use an approximation (the absolute precision is under 0.001, and ), whereas the non-fast versions use the real sRGB piecewise-curve conversion. rgb2hsv(c) converts the input color 'c' from RGB space to HSV space. hsv2rgb(v)converts the input color 'c' from HSV space to RGB space. The converters support HDR values. For the HSV color-space, the H-value (hue) is wrapped from 0 to 1 (1 means 360°), the S-value (saturation) is clipped from 0 to 1 and the V-value (intensity) is positive. bias(x, e) de-linearizes the input 'x' by applying a power function based on value 'e'. x is expected to be in the [0,1] range, e has to be in the [-1,1] range. Normalizes the input 'v' vector and returns the resulting unit-vector. Unlike the 'normalize' and 'safe_normalize' builtins, these safe versions check for null vectors. This will prevent normalizing a null vector and getting an Infinity or NaN vector in return. Works on any vector dimensions. safe_normalize(vector3); returns normalize(vector3), but if length(vector3) < 1.0e-8, returns float3(0,0,0). safe_normalize(vector3, float3(0,1,0)); returns normalize(vector3), but if length(vector3) < 1.0e-8, returns float3(0,1,0). safe_normalize(vector3, float3(0,1,0), 1.0e-6); returns normalize(vector3), but if length(vector3) < 1.0e-6, returns float3(0,1,0). 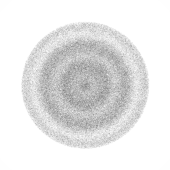 evaluates a coherent noise field. 't' can be a float, float2, float3, or float4 cursor. All functions return a single float value in the [-1,1] range. noise() computes a high quality simplex-noise. fast.noise() computes a slightly lower quality, but faster, noise. Takes the side, up, and forward components and permutes/swizzles them based on the current Axis-System. Accepts the same kind of arguments as the regular "float3" construction: you can pass a float2 and a float, a float3, or three floats. Useful to detect infinite or invalid values. isfinite(v) returns true if 'v' is a finite value, false if not. isinf(v) returns true if 'v' is an infinite value, false if not (either finite or NaN). isnan(v) returns true if 'v' is a NaN value (NaN = "Not a Number"), false if not. The input value should be a temperature in degrees kelvin. For example, 800 will give a red color, 3000 will give an orange/yellow color, 5000/6000 will give a white color, and higher temperatures will give a blue color. RGB colors returned are in linear space, not in sRGB space. Can be very useful for 'physically correct' lava/fire effects. The 'fast' version uses a different algorithm (a polynomial fit on the final RGB curves) than the regular version (which uses a polynomial fit of the chromaticity-space planckian locus), is roughly twice faster, but much less precise (although it's probably fine for most applications). reinterprets the input as a float. If given a float, does nothing. If given an int, will reinterpret its bits as if it was a float. works on any vector, float to float4, int to int4. reinterprets the input as an int. If given an int, does nothing. If given a float, will reinterpret its bits as if it was an int. Here is quick list of Axis-System dependent function to help create Axis-System independent effects. This page was last modified on 2 November 2018, at 10:16.